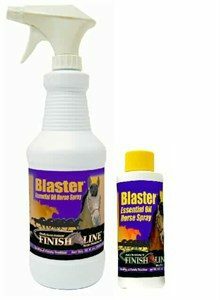 Long-lasting insecticidal spray. 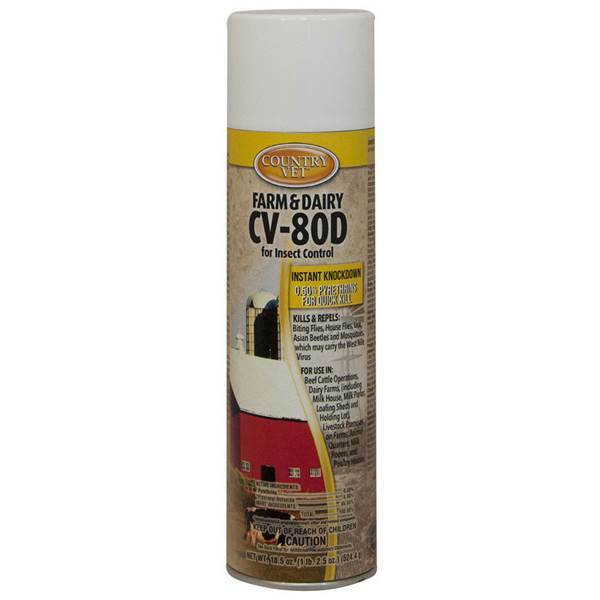 For use directly on beef cattle, lactating and non-lactating dairy cows and calves, horses, sheep, goats, swine and poultry, and their premises. Active ingredient is permethrin. Available size: 4 oz. concentration bottle. 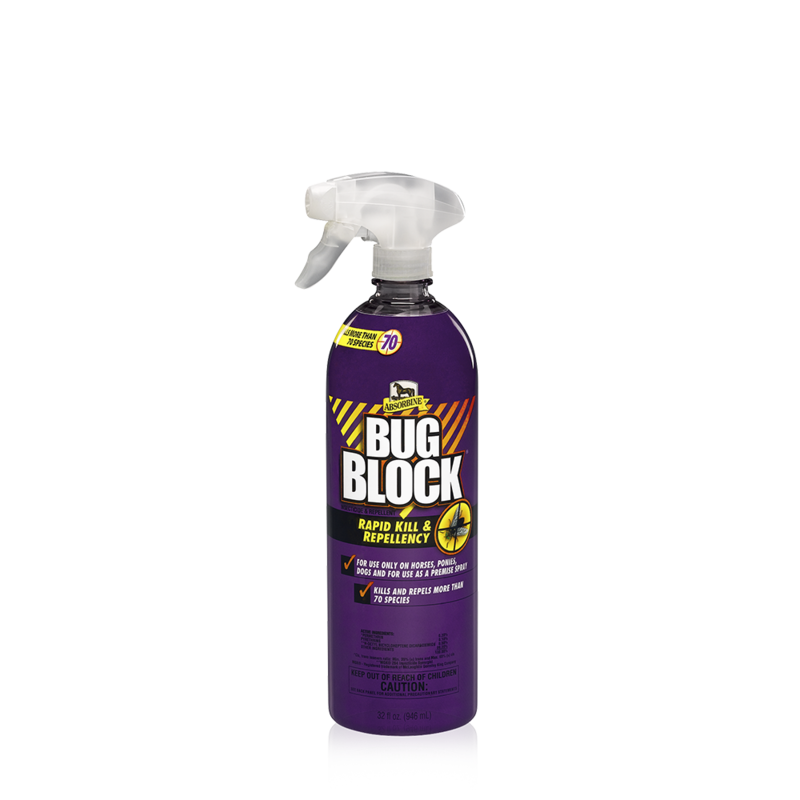 Bug Block® contains pyrethrins and permethrin, two active ingredients that are essential for killing and repelling more than 70 different species of biting flies, gnats, ticks, and mosquitoes, including the Culex species of mosquito known to transmit the West Nile virus. Before applying Cyonara 9.7 clean up interior and exterior debris. Outside remove debris and leaf litter from the foundation. Cut back vegetation from the structure and remove rocks and mulch next to the foundation. Inside ensure proper access to areas around appliances and plumbing. Indoor applications of Cyonara 9.7 can be done as ofter as once every 3 weeks. 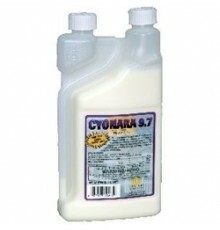 Dilute .2 to .8 ounces of Cyonara in one gallon of water depending on target pest. Spray a light mist of Cyonara 9.7 around baseboards, windows, doors, under appliances, around plumbing and other entry points for insects. One finished gallon og Cyonara treats 1000 square feet. Let treated areas dry before allowing children and pets back in the area. Outdoor applications of Cyonara 9.7 should be done with a hand pump sprayer or a tank mixed power sprayer. Mix between .2 and ,8 ounces of Cyonara depending on pest with each gallon of water. Apply a continuous band of Cyonara 9.7 insecticide as a residual spray treatment around foundations of buildings, surface cracks, windows, doors, eaves, patios, garages, trash and dumpster areas, and other harborage and entry points. For perimeter pest control, Cyonara 9.7 may be sprayed 3 feet up the foundation and 10 feet away from the foundation. Any application of Cyonara 9.7 must ensure a continuous band of pesticide around the perimeter of the home or structure. The amount of area Cyonara 9.7 will treat varies by pest and mix rate. Cyonara 9.7 will leave a residual that keeps killing insects for up to 6 months. Cyonara 9.7 will begin killing insects within 2 minutes. 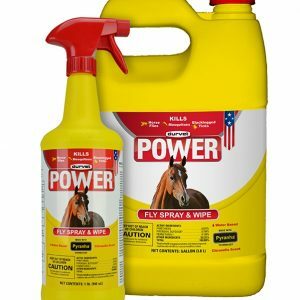 POWER® Fly Spray & Wipe is a non-oily insect control spray that provides powerful yet safe protection against harmful pests. Made with Pyranha® technology, this economical and quality formula can be used directly on horses as well as premises (barns, stables, fences, etc.) featuring both indoor and outdoor applications. The only fly spray with RepeLock. RepeLock is an exclusive conditioner that binds to the hair shaft, locking in Endure's fly repellency. 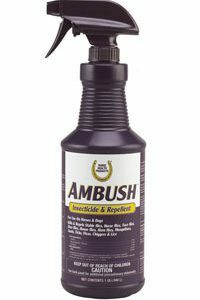 This unique formula stays active even when your horse sweats or in wet conditions. 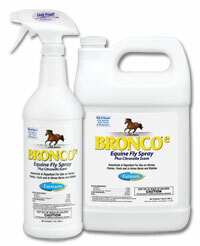 No other fly spray offers such effective sweat-resistant protection.